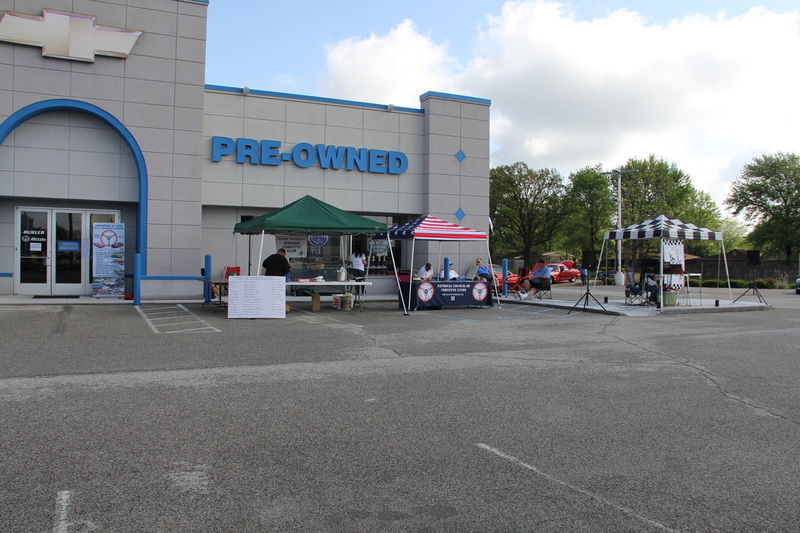 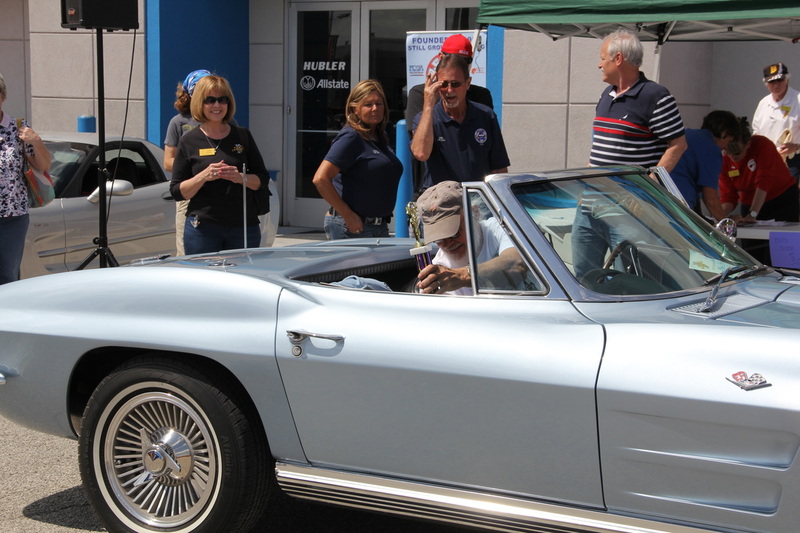 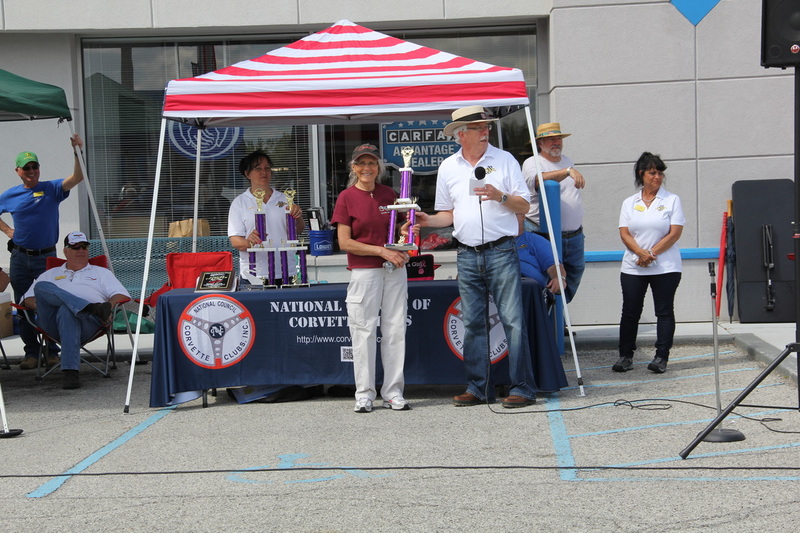 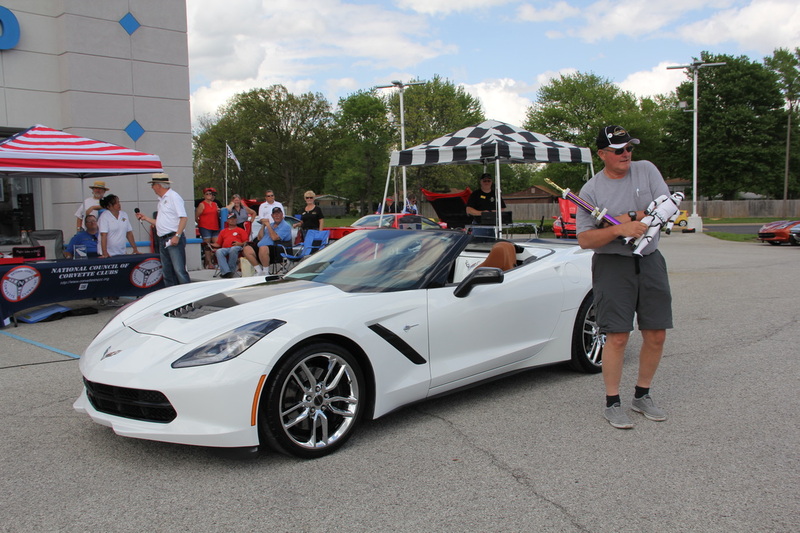 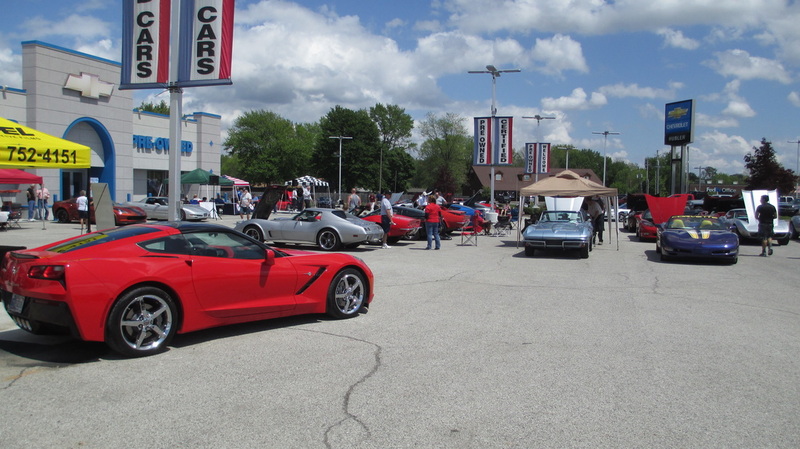 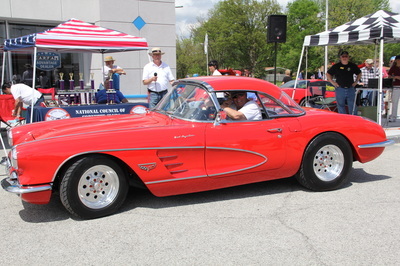 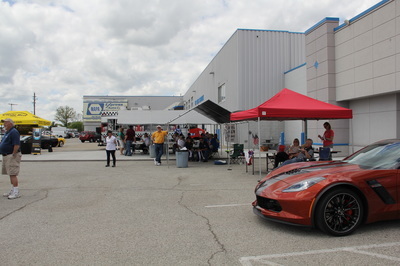 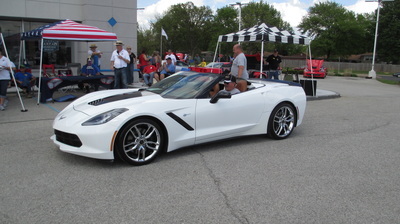 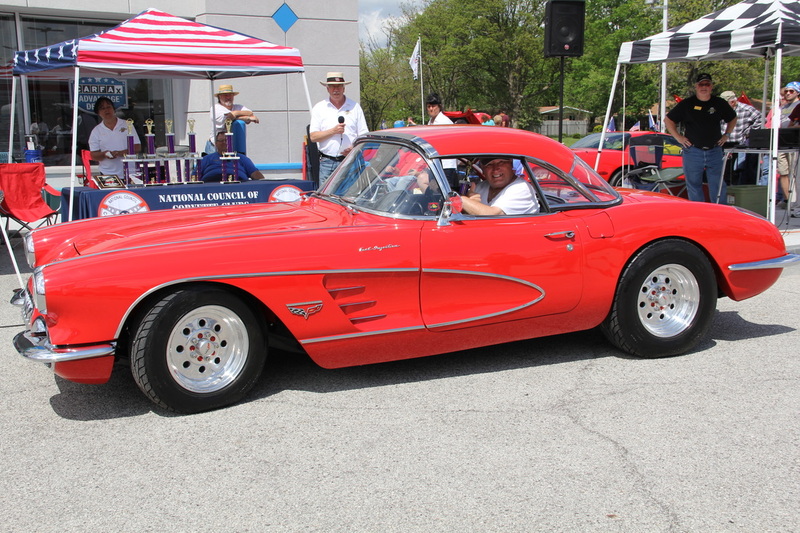 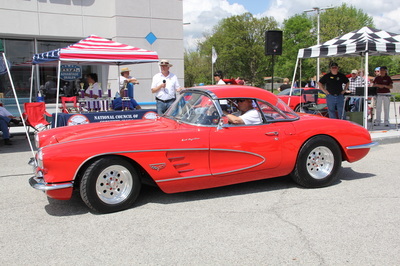 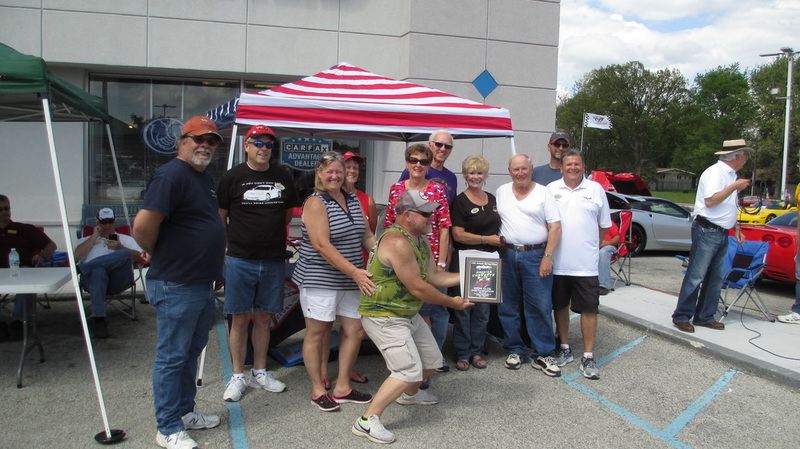 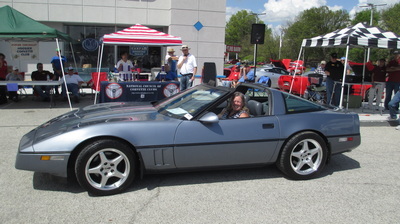 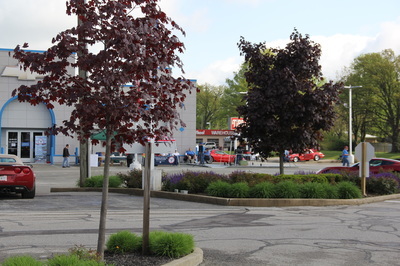 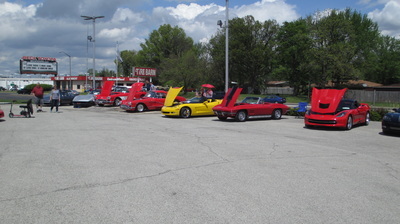 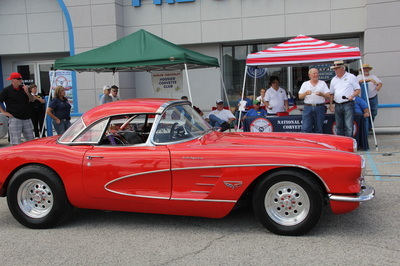 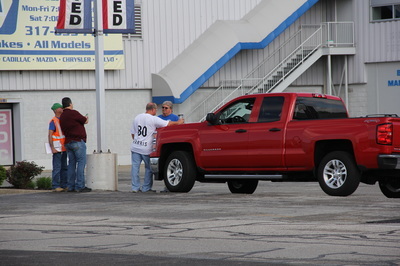 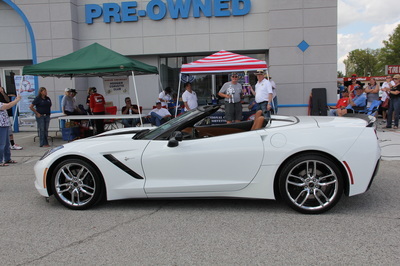 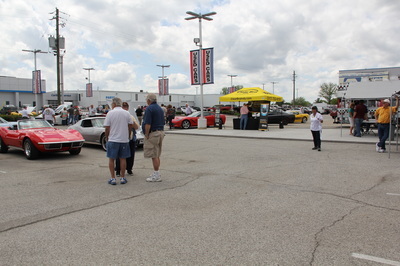 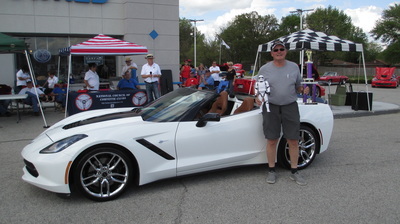 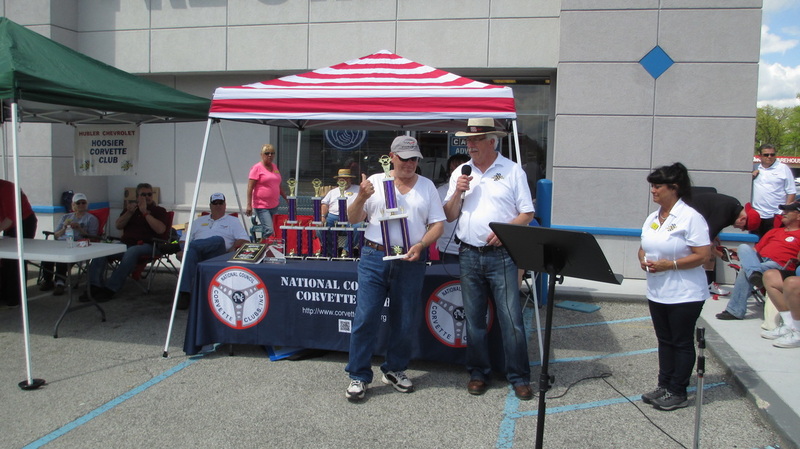 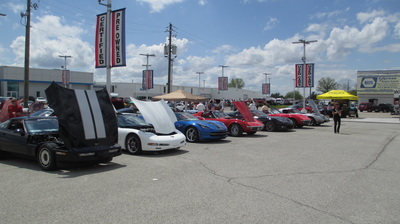 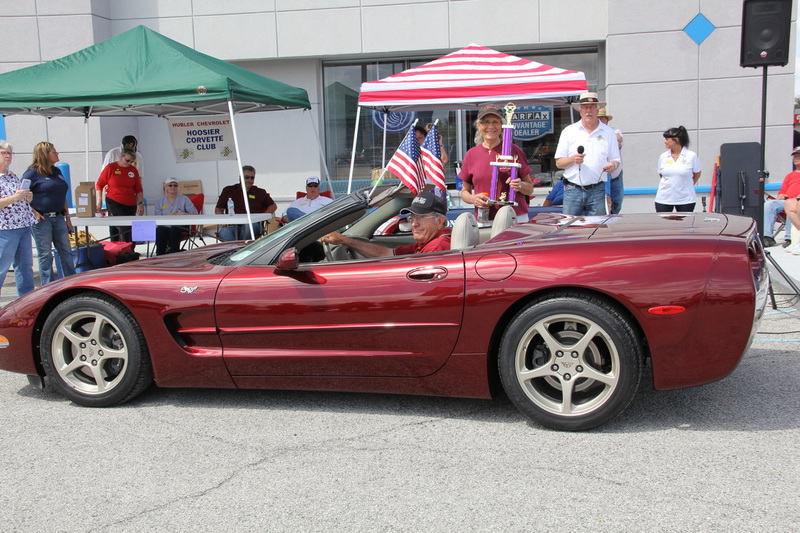 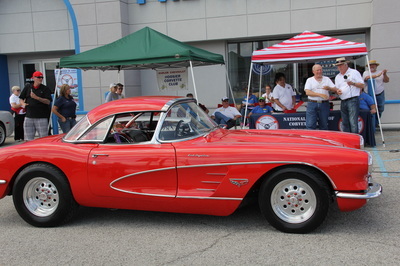 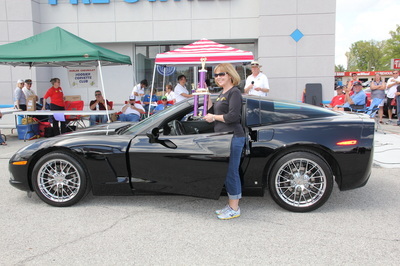 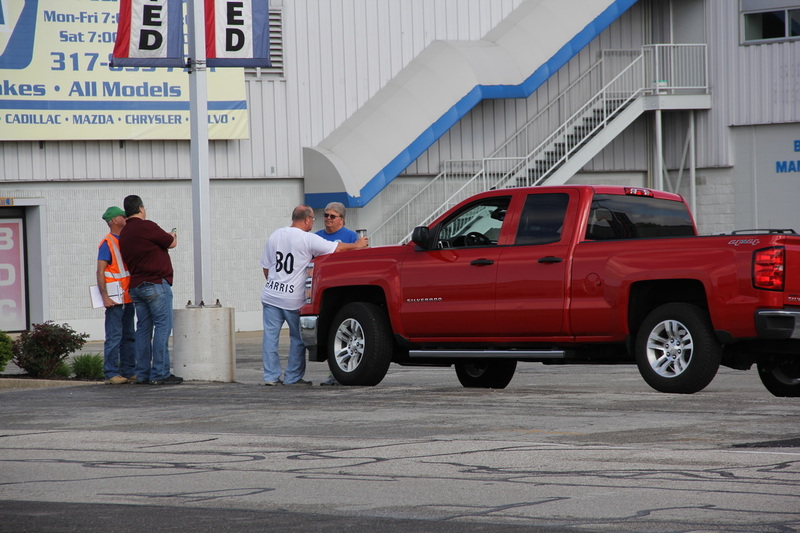 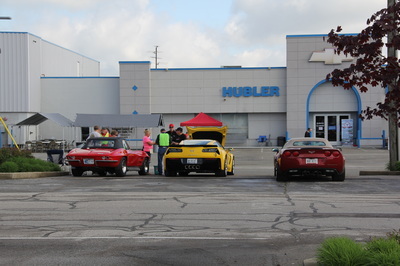 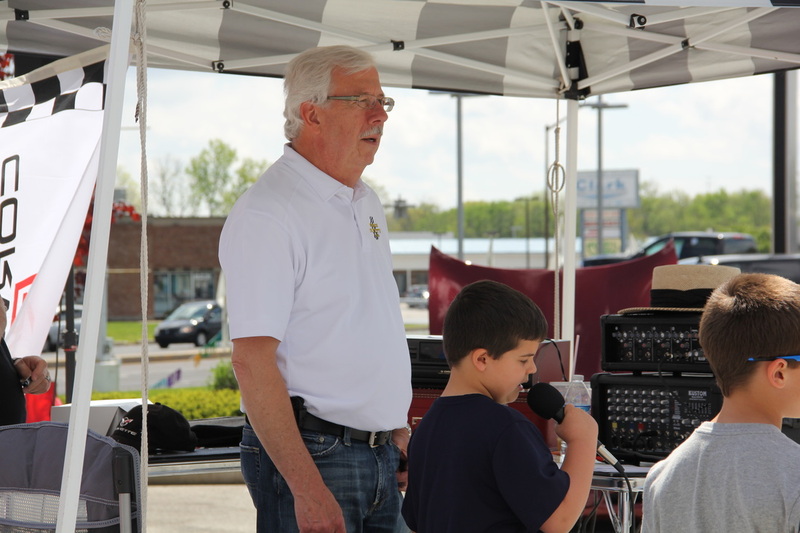 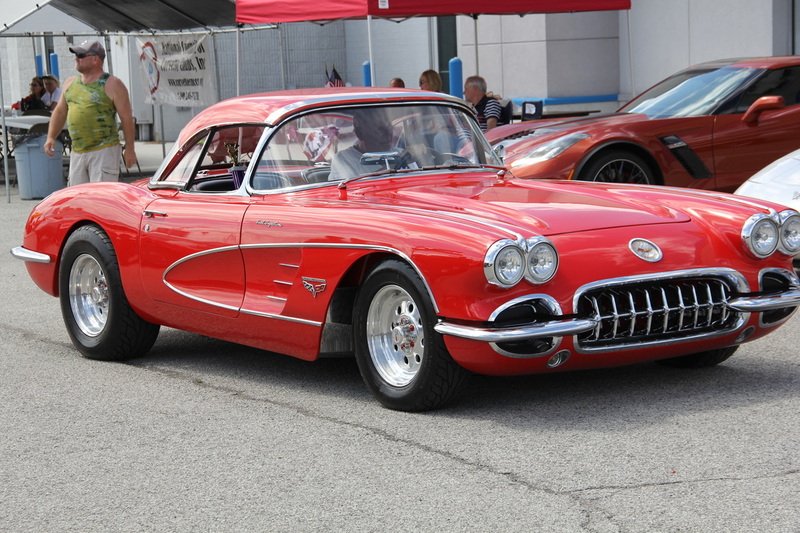 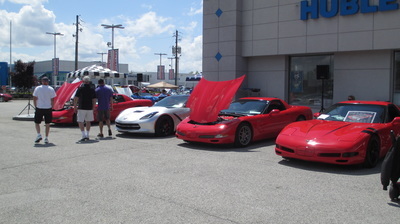 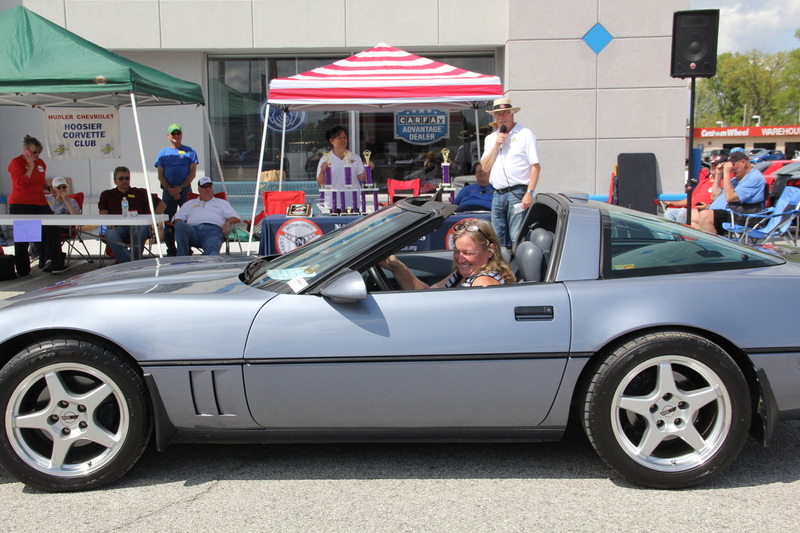 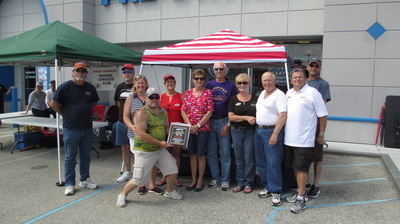 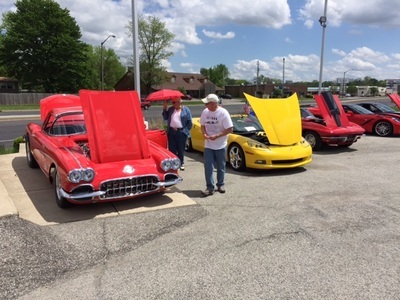 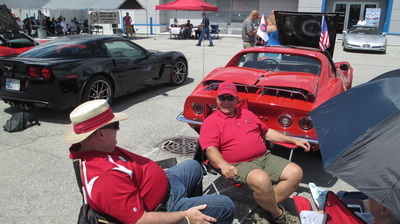 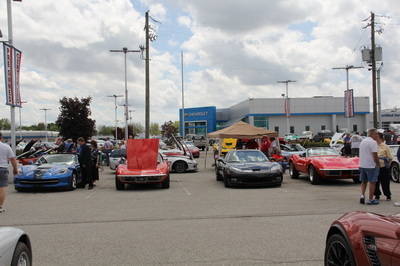 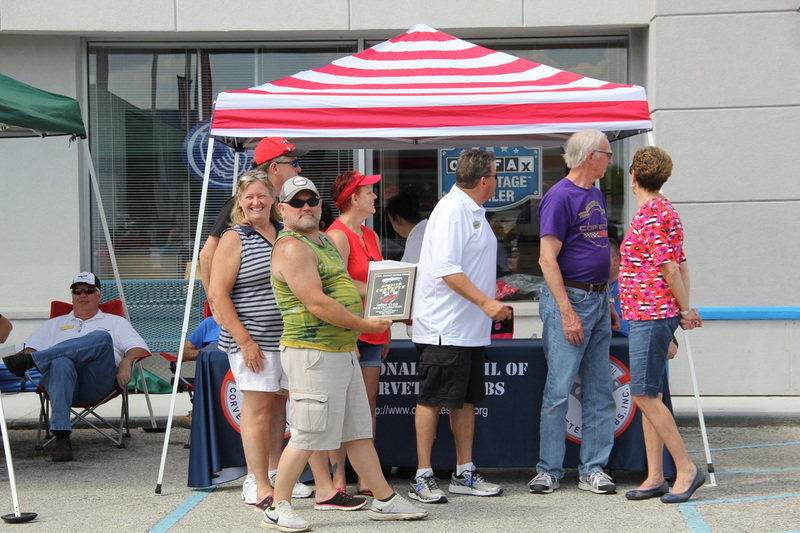 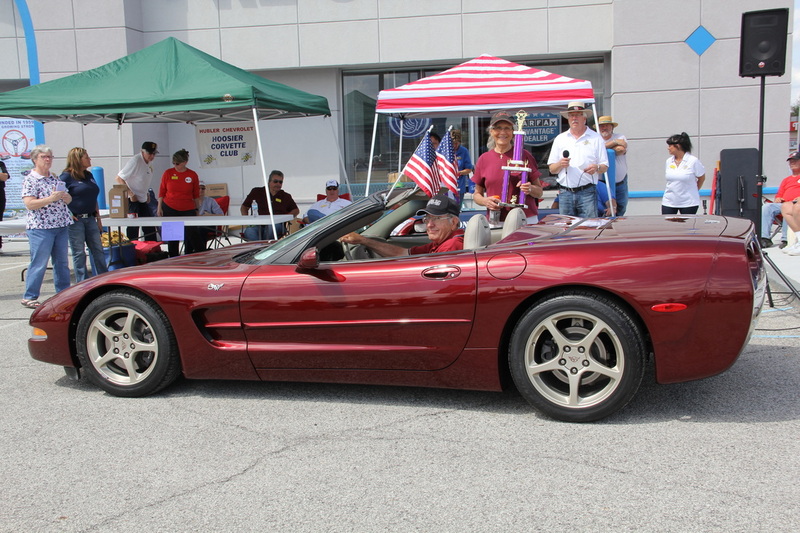 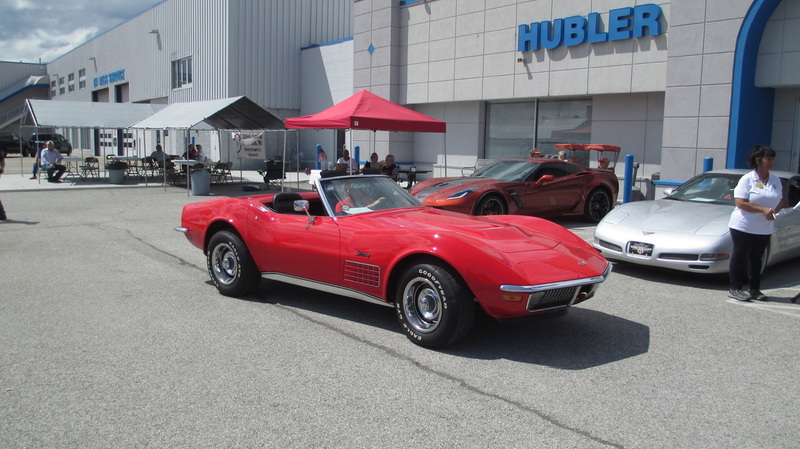 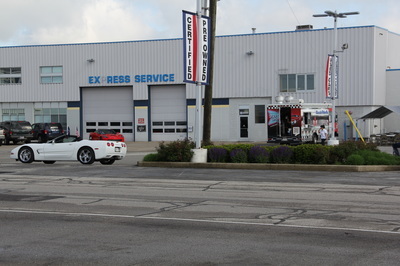 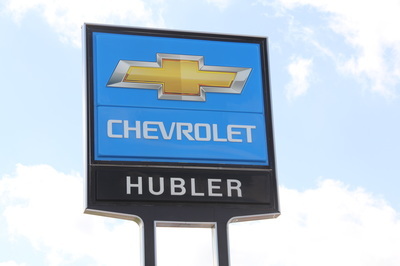 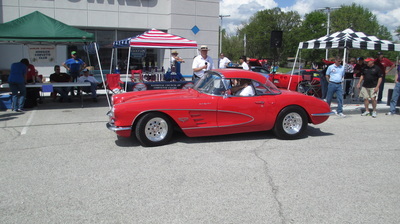 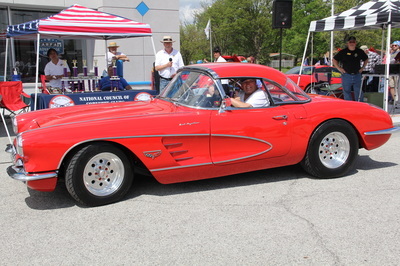 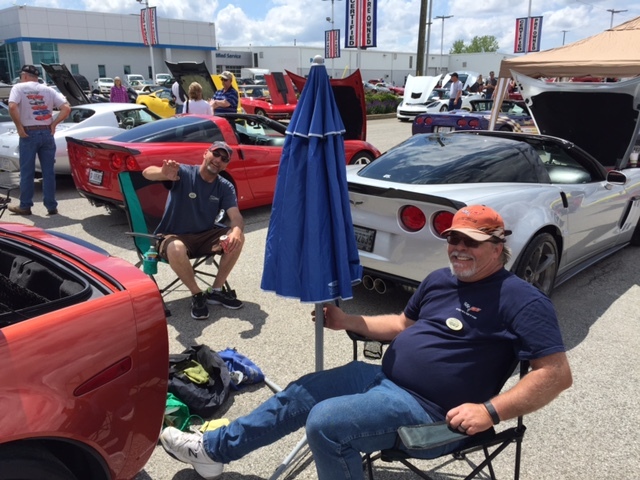 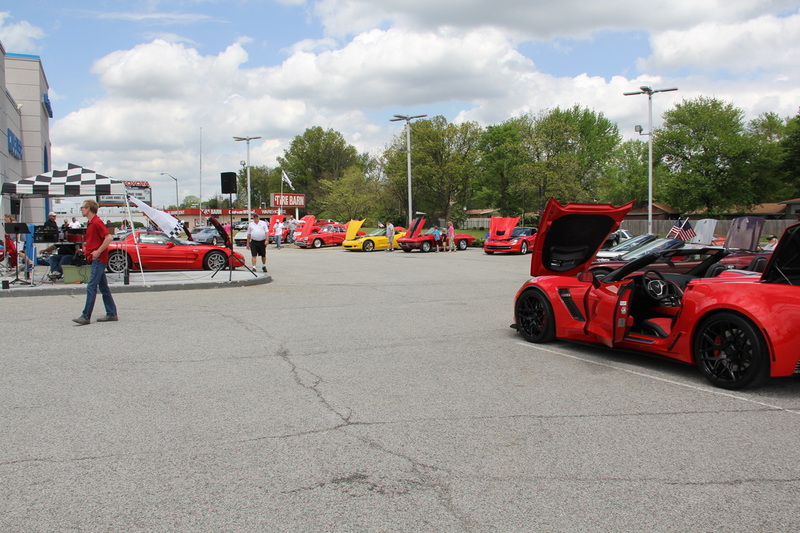 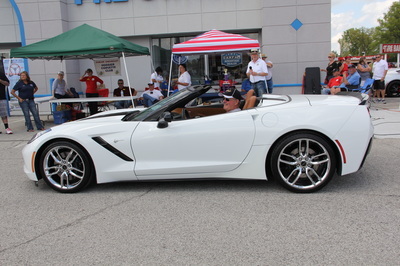 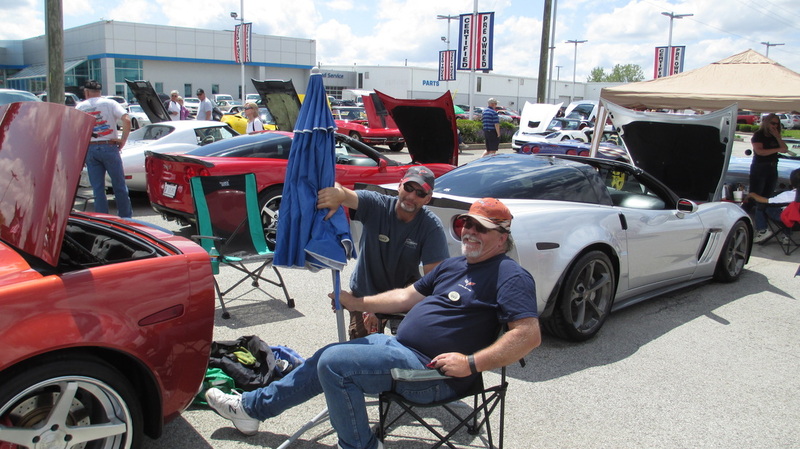 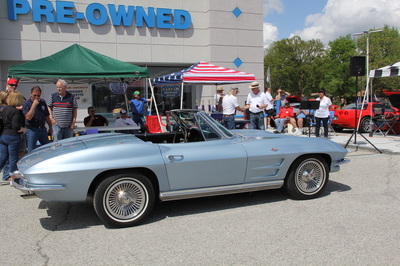 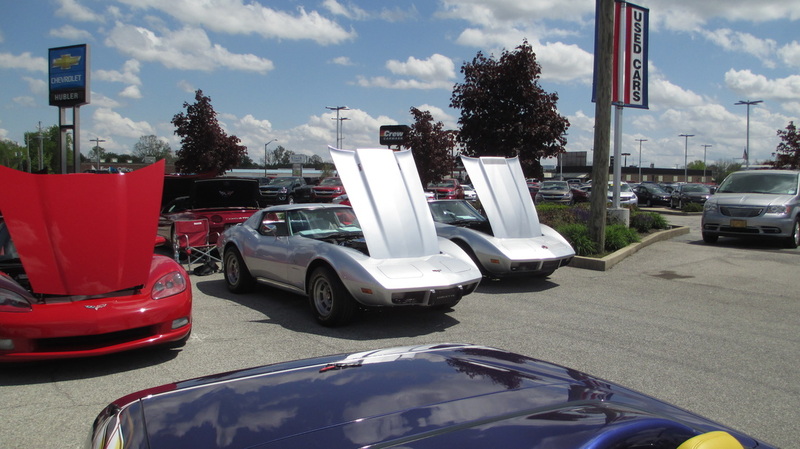 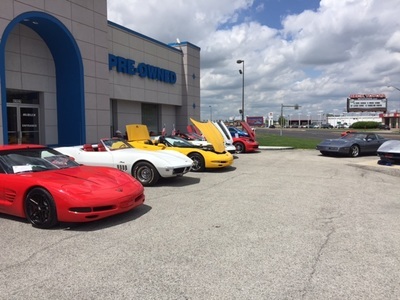 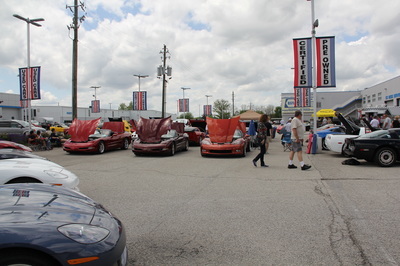 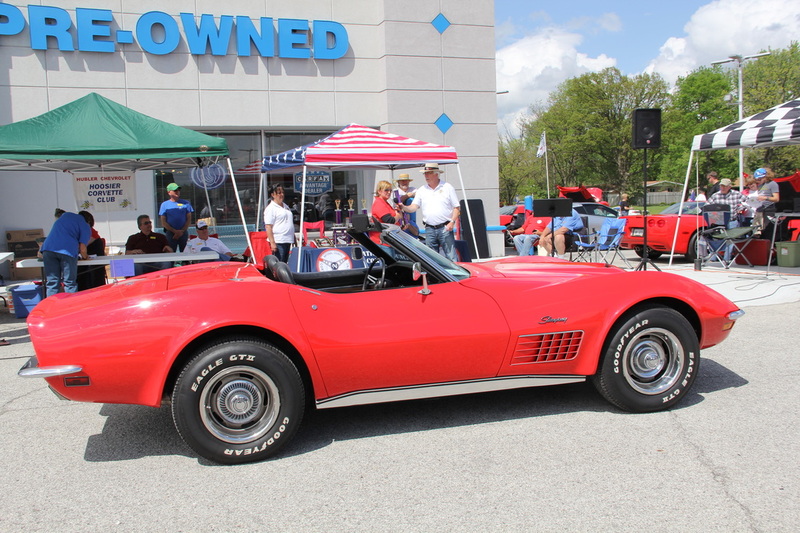 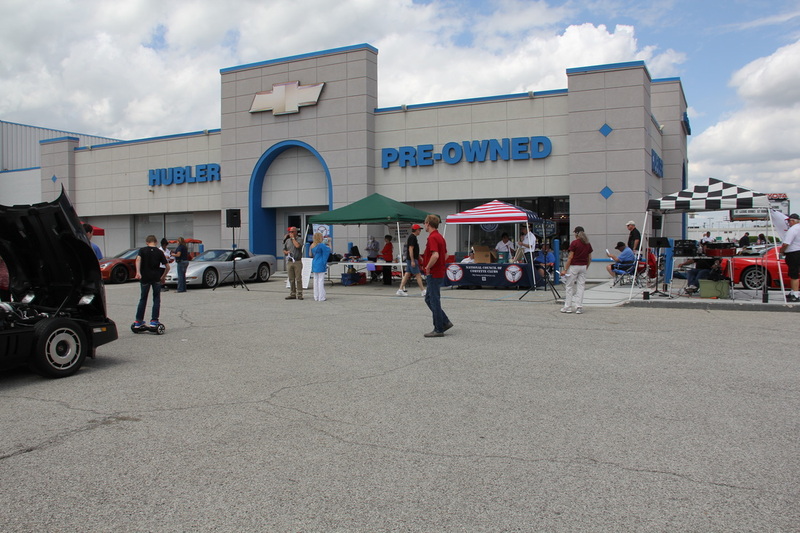 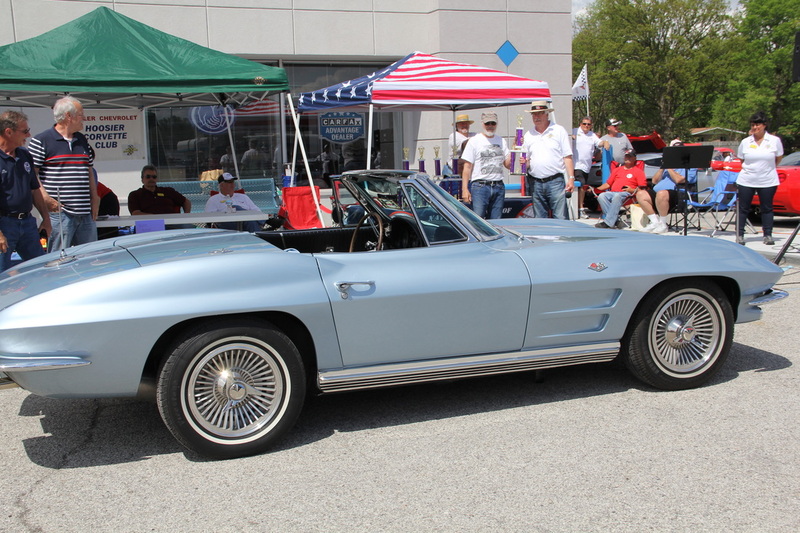 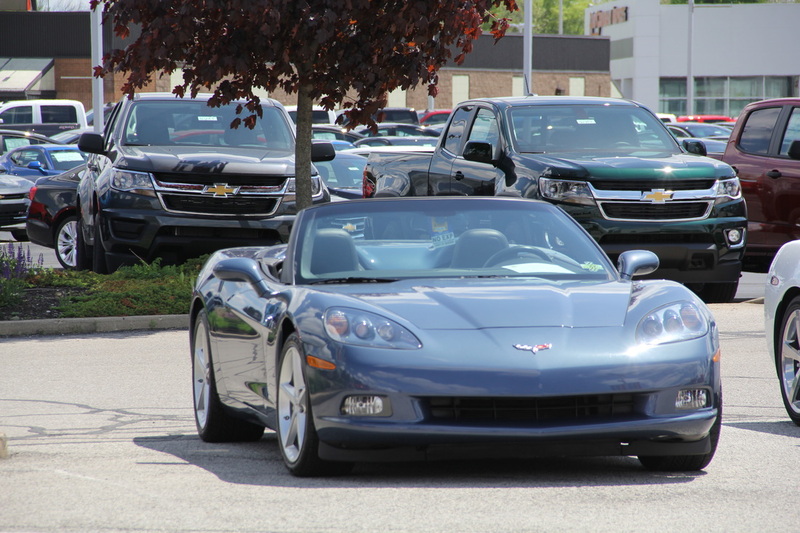 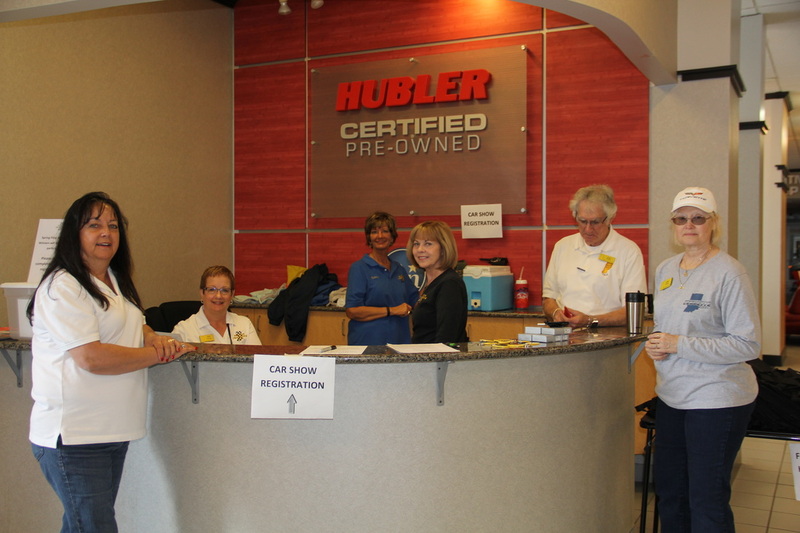 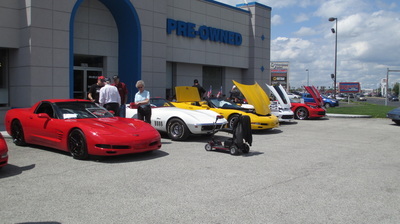 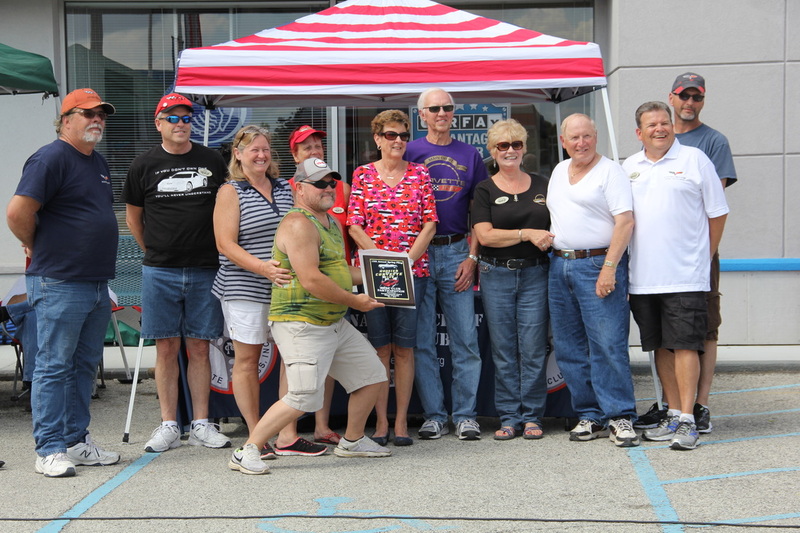 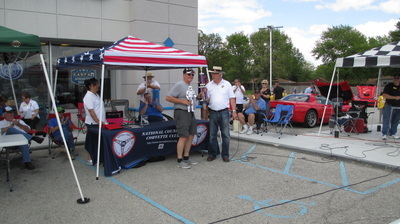 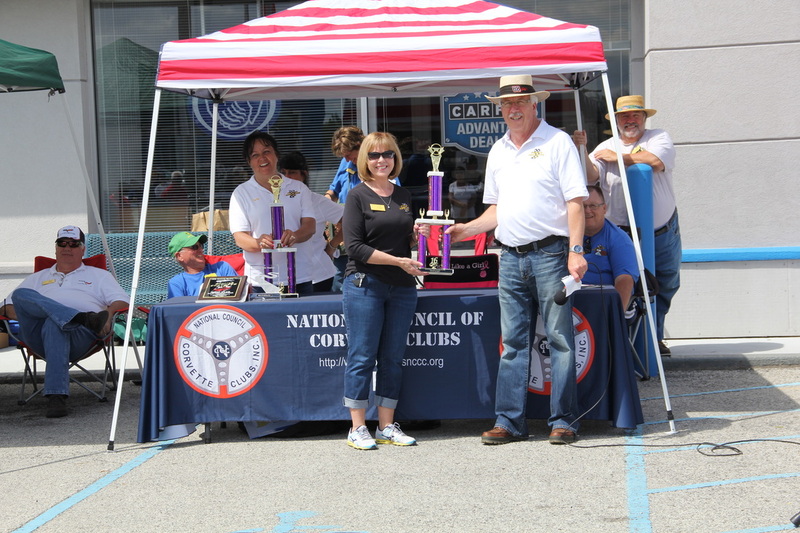 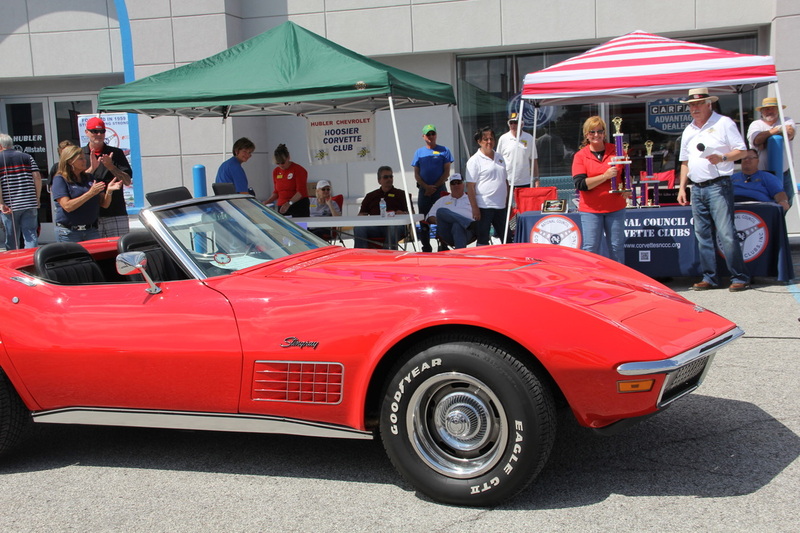 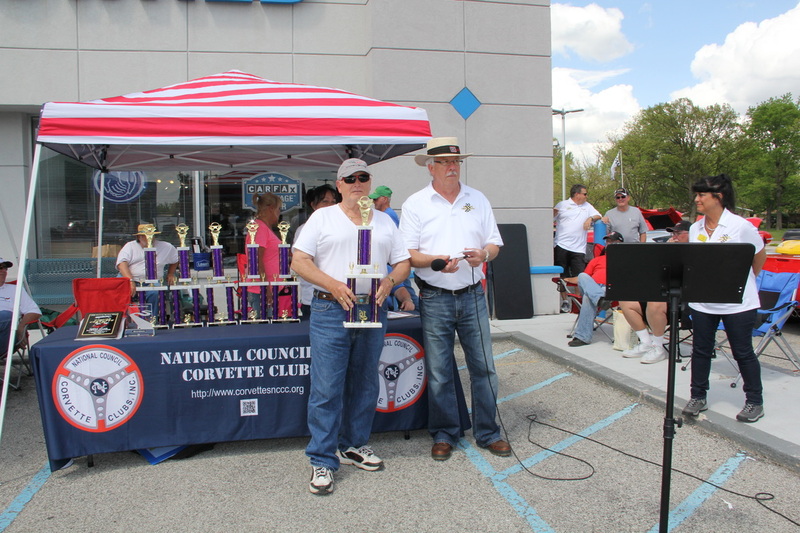 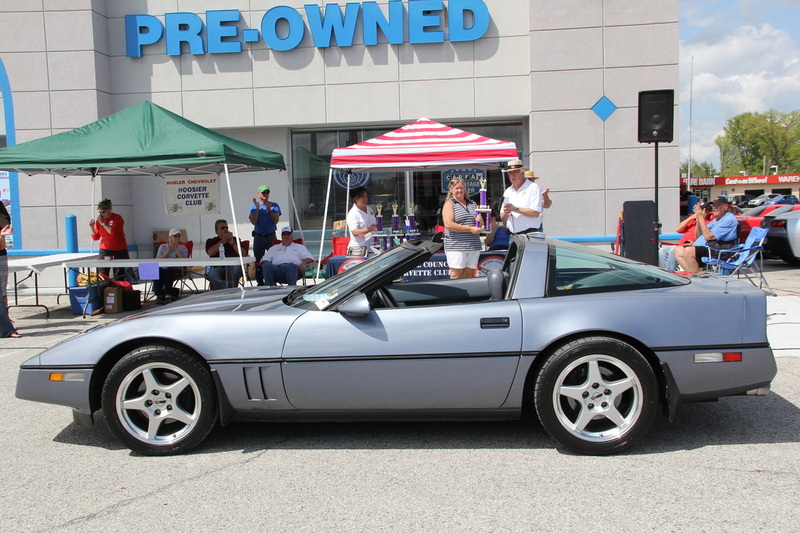 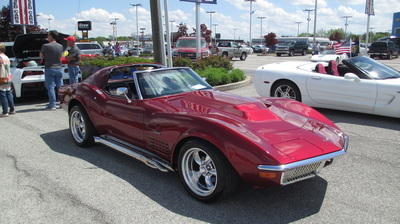 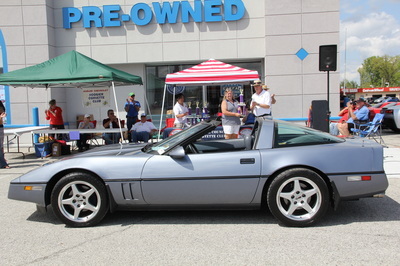 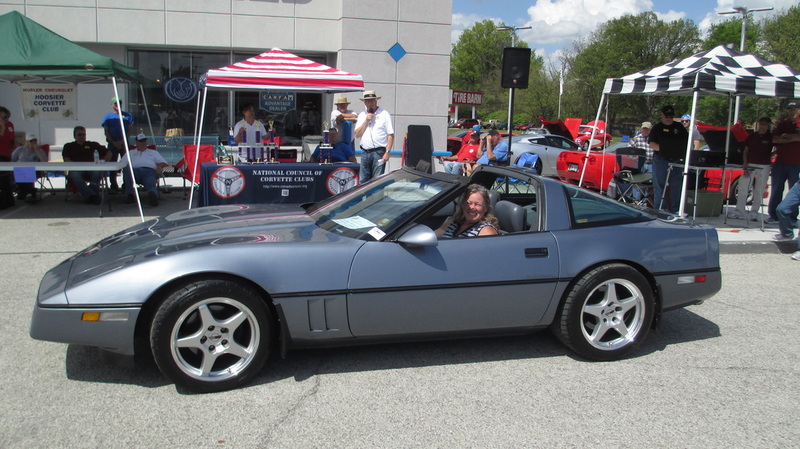 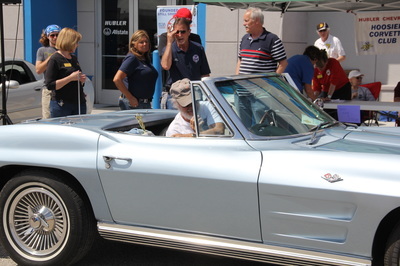 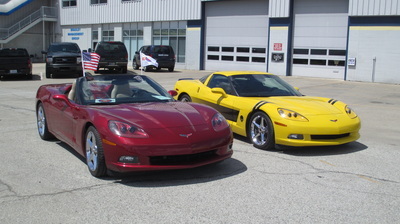 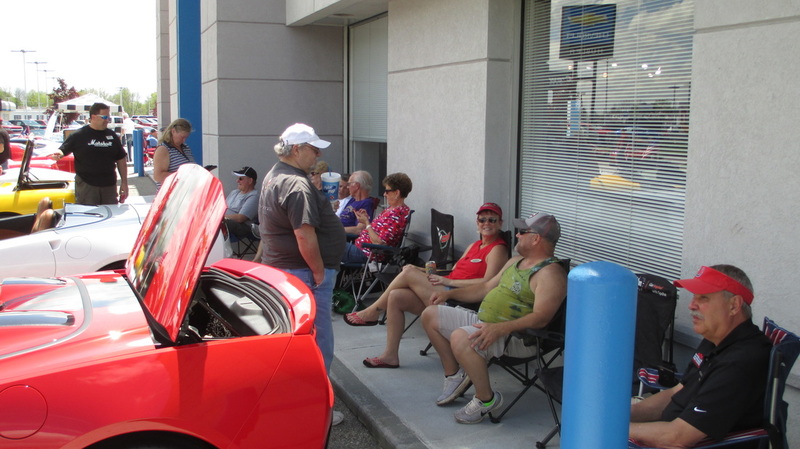 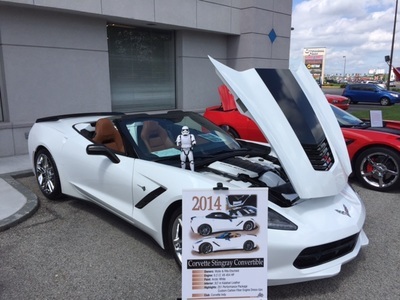 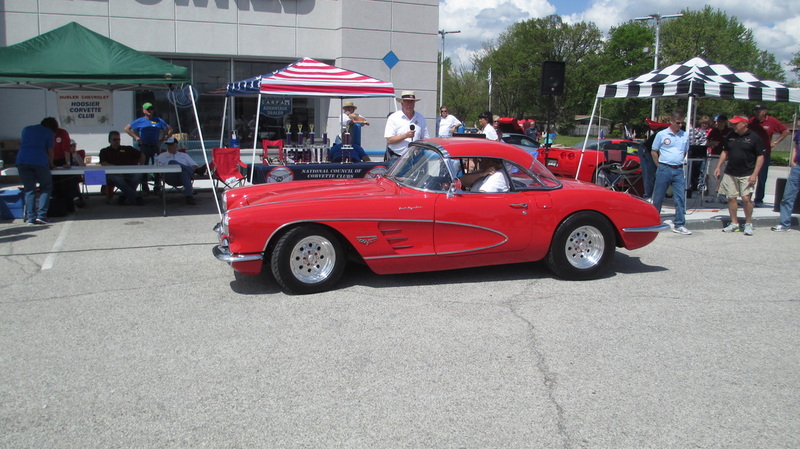 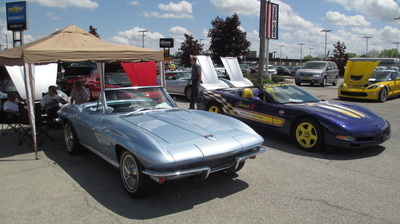 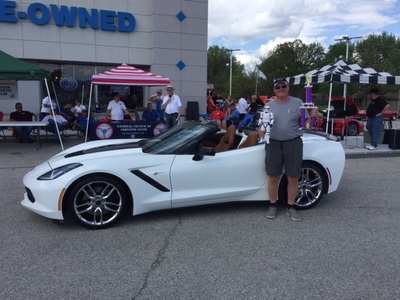 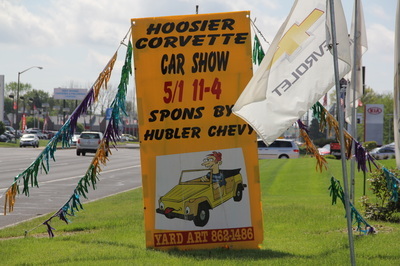 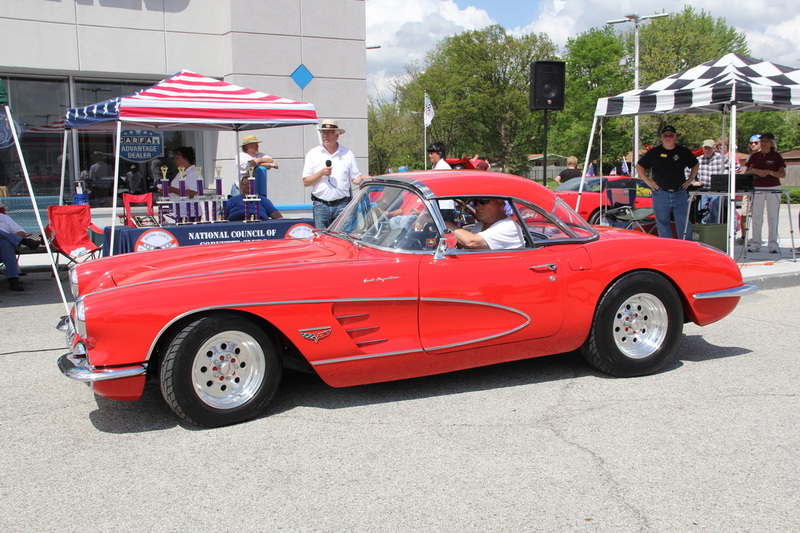 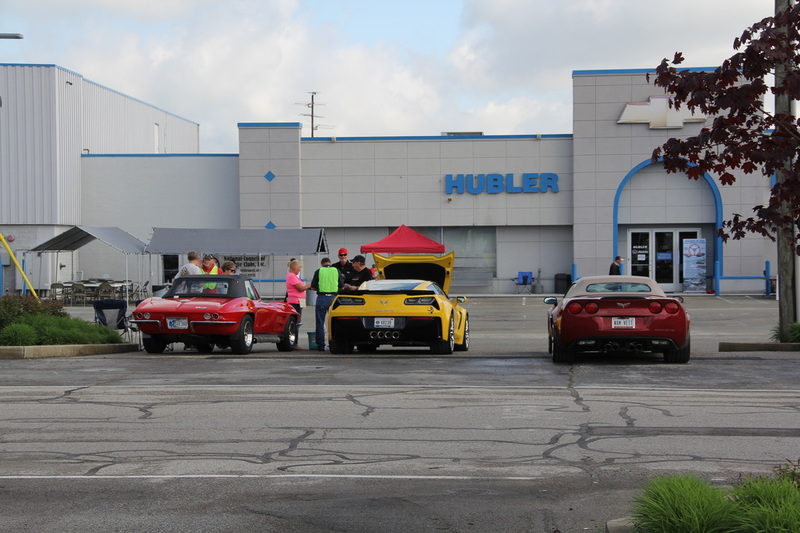 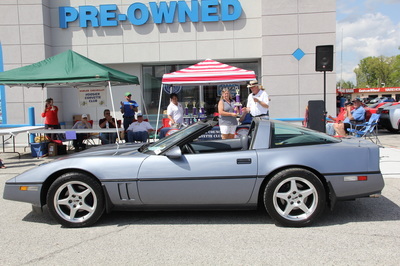 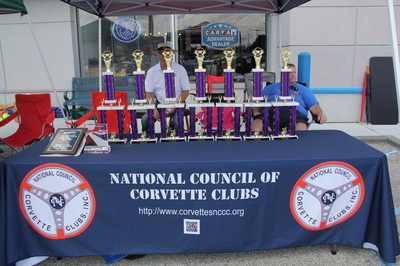 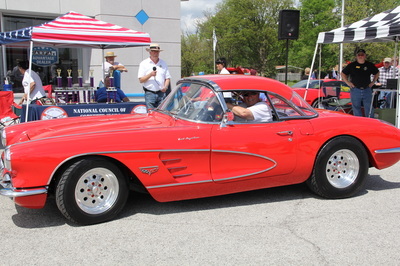 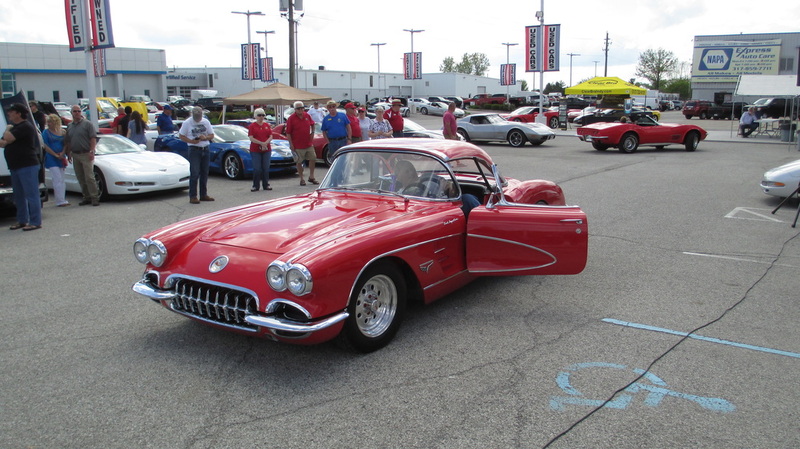 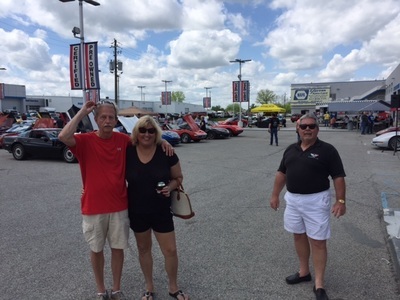 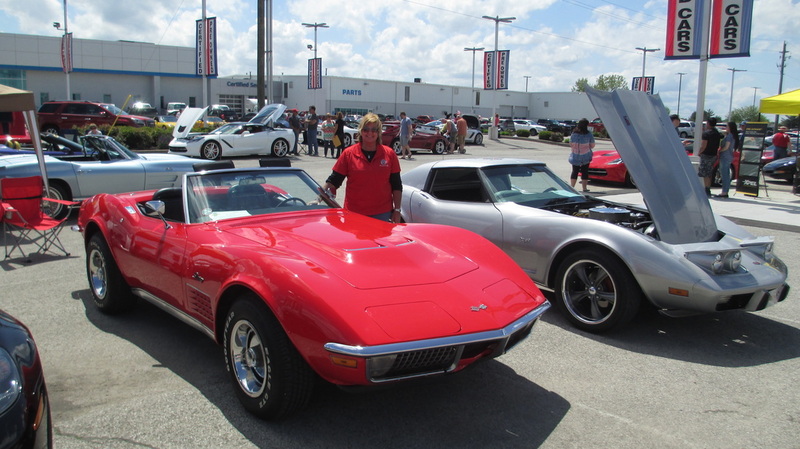 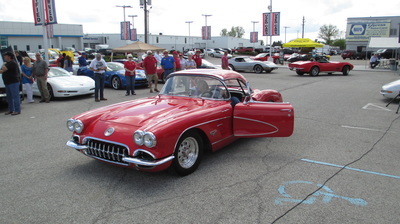 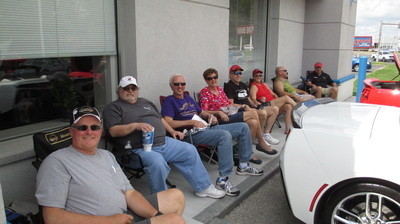 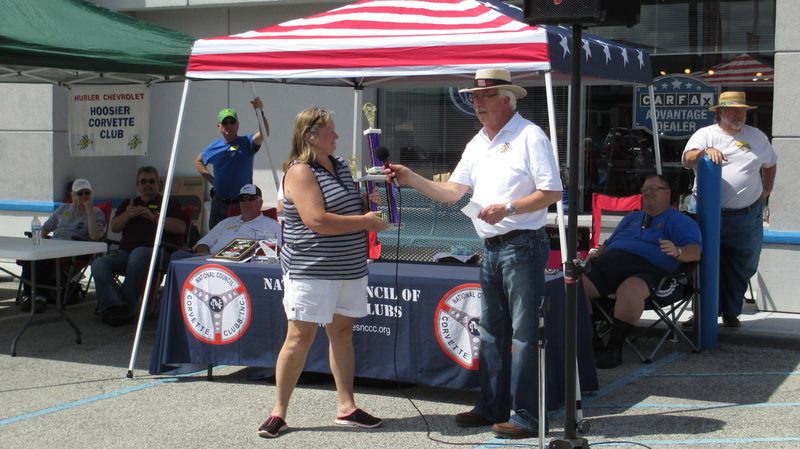 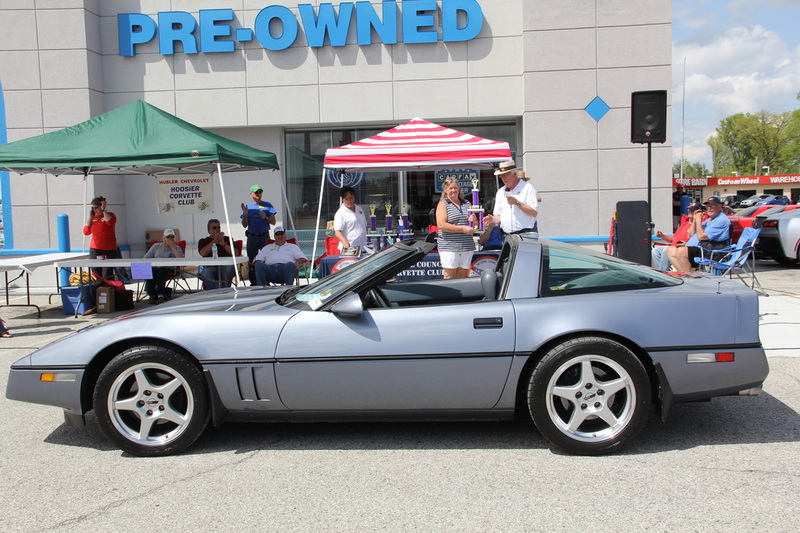 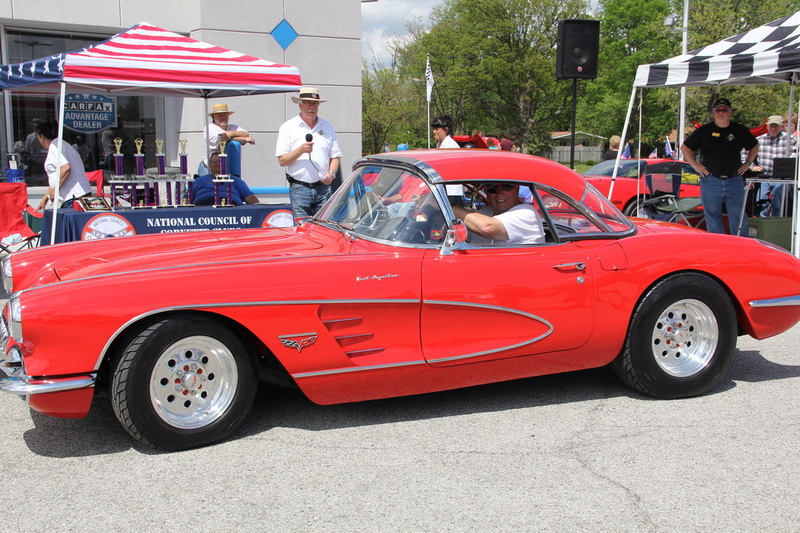 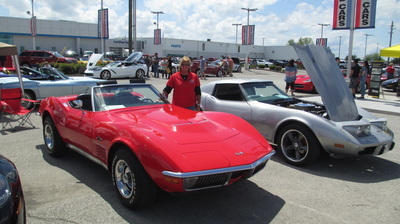 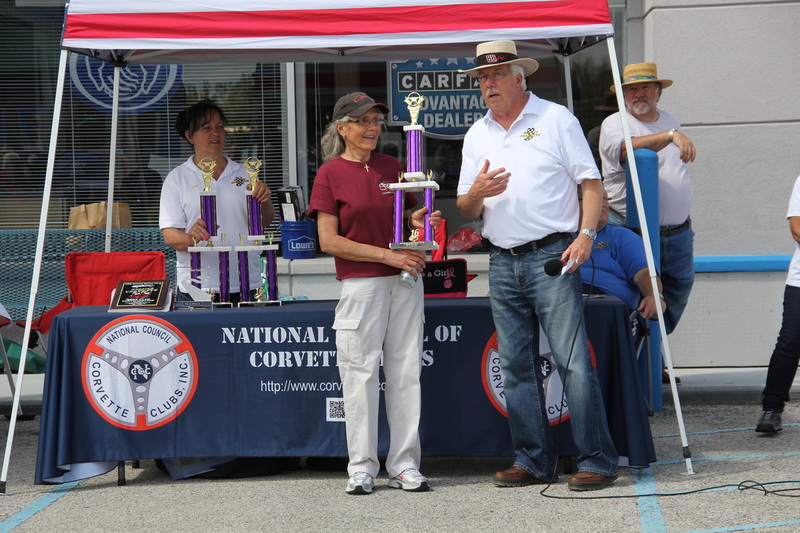 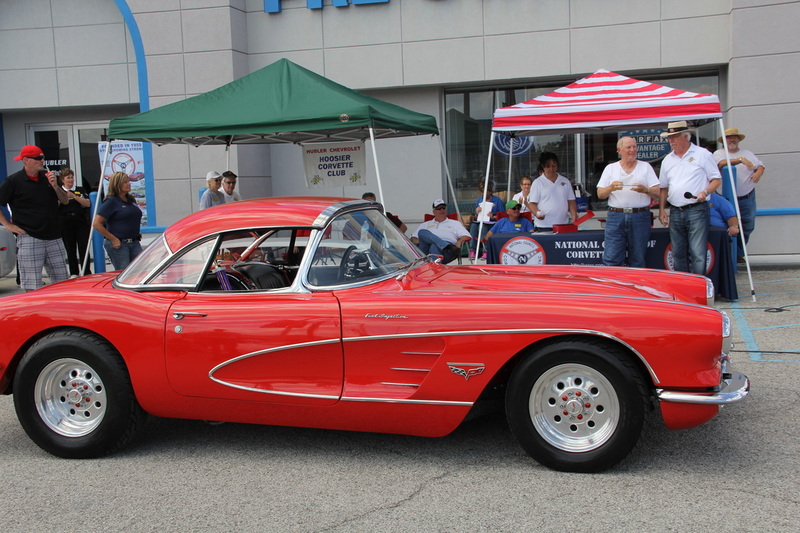 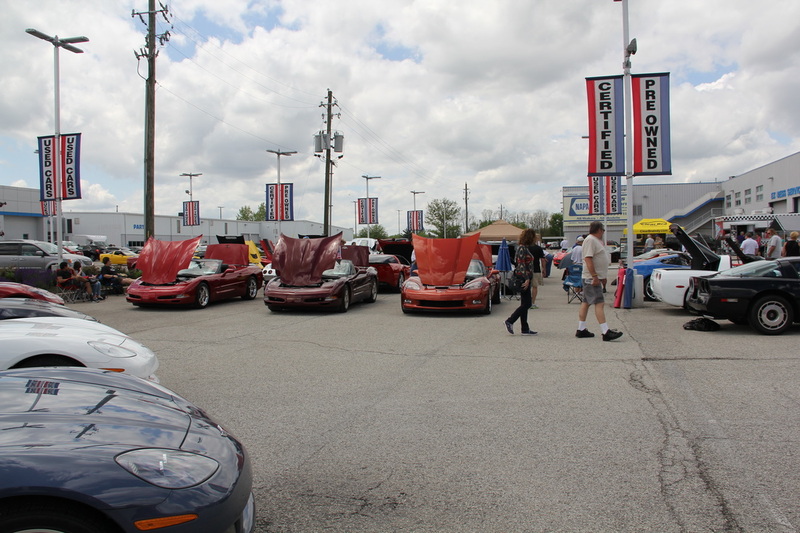 The Hoosier Corvette Club’s 13th Annual Spring Fling Corvette Car Show held on May 1st at their sponsor’s Hubler Chevrolet Used Car location on U.S. 31 South in Indianapolis, IN was once again a success! 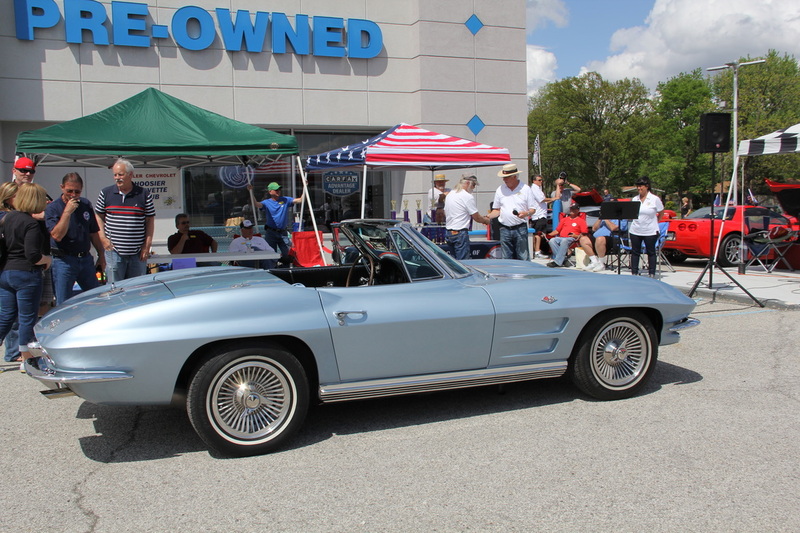 There were numerous entries for the car show and a steady crowd of Corvette fans to admire the variety of Corvettes in attendance. 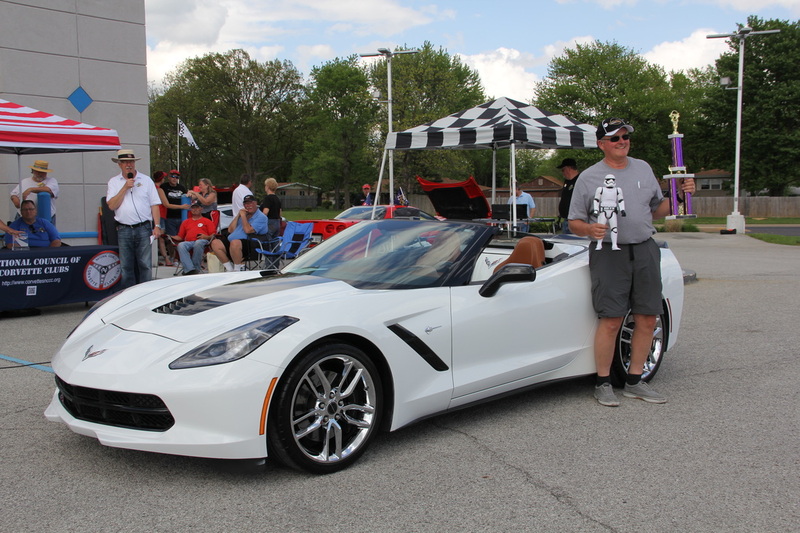 Those registering received a Spring Fling event ribbon and a Hagerty Insurance bag which included a car wash coupon from Brad’s Car Wash, a band aid kit from St. Francis Hospital, ink pen, a number of brochures and a Vette Vue magazine subscription coupon among other things. The Dashboard Diner of Edwards Drive-In provided delicious food for the event and Clear Bra Indy set up a display to show their car protection product. Other events included a large number of items generously donated from local businesses for the 50/50, door prizes, raffle, and silent auction prizes along with a DJ playing lots of oldies. Trophy winners were chosen by the car show participants and were given for the top car in each class: “Best of Show” #5- John Rash of Corvette Indy, C-1 #5- John Rash of Corvette Indy, C-2 #30- Ron Holmes, C-3 #34- Melissa Hillers of Circle City, C-4 #21- Tammy DeWitt of Corvette Indy, C-5 #14- Dan & Dorothy Shaffer, C-6 #6- Linda Privette of HCC, and C-7 #29- Wylie Etscheid of Corvette Indy. 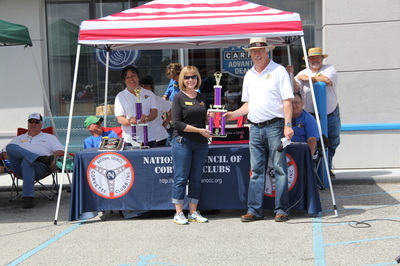 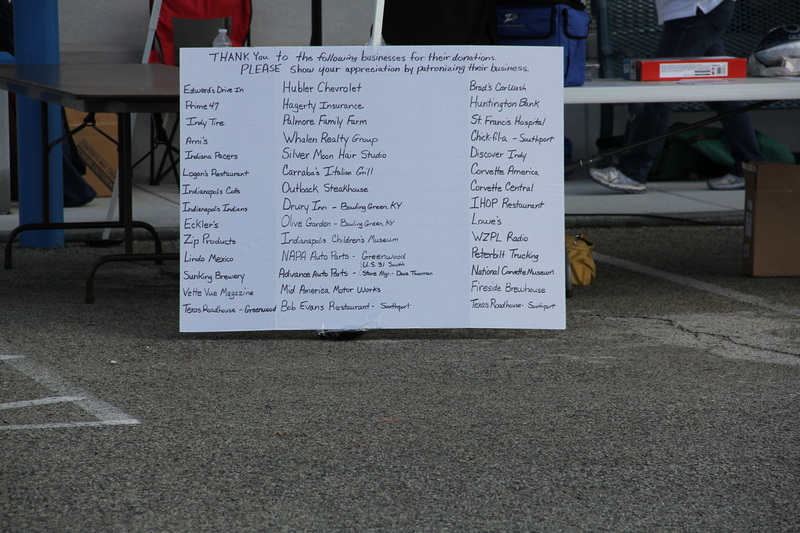 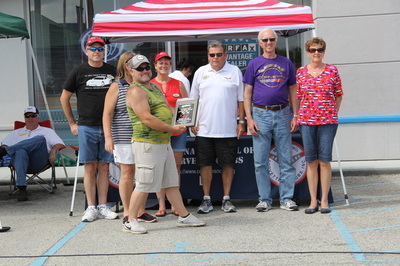 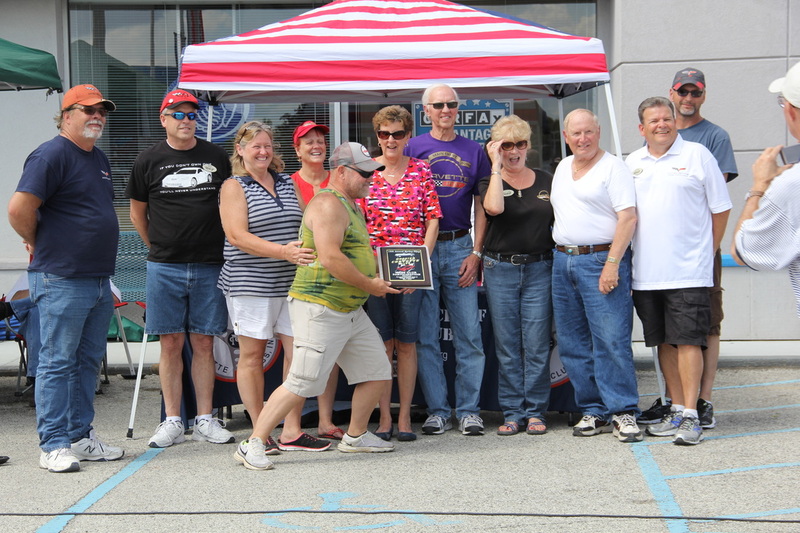 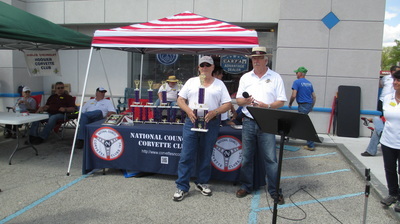 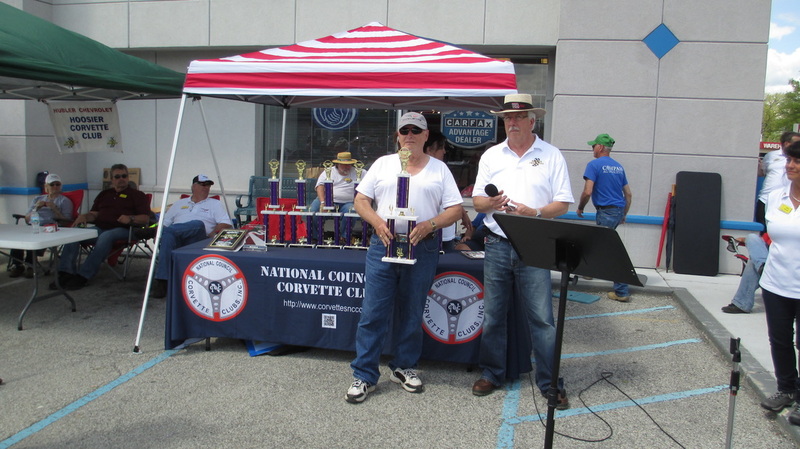 Corvette Indy won the Club Participation Plaque for the most Corvettes with 20 members in attendance . 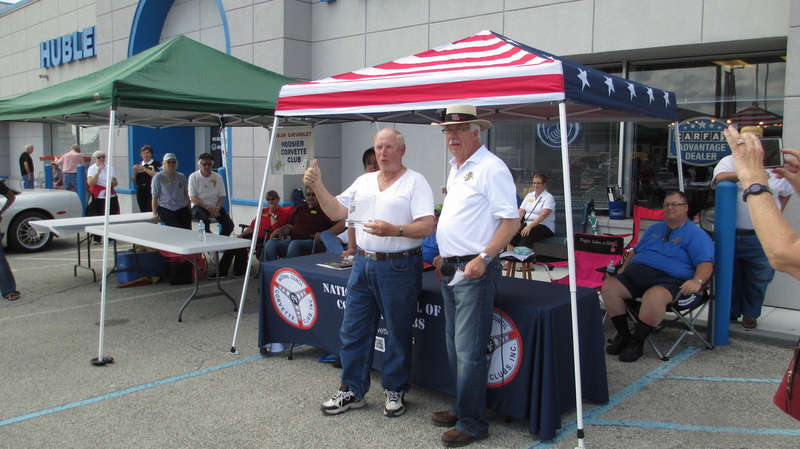 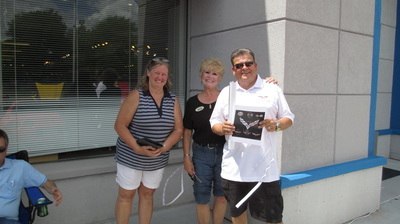 Robert and Diana Bowers received a tire handled umbrella for having come the farthest distance of 122 miles to the car show, and a dinner coupon book was given to John Rash for the first person to arrive.